Sensor Access Technology has developed an integration with the very latest DOAS Mitsubishi Lift system. Mitsubishi Electric’s DOAS system optimises multi-car elevator systems by allocating cars efficiently according to the floors that passengers input while waiting in the hall, helping to reduce both wait and travel times. 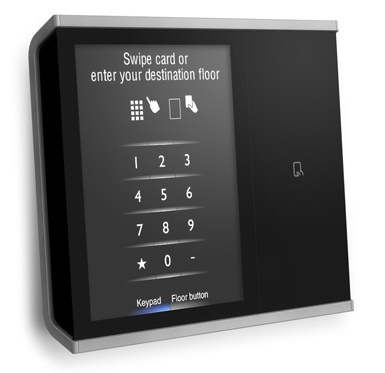 The integration means that you can restrict access to the cardholder via time schedules and floors or destinations, increasing security and efficiency of movement around the building. 1. The passenger waves an ID card over the card reader in the hall and then enters an authorised floor number. 2. The user’s floor is preregistered in the ID card, so after the card is waved over the reader, the panel directs the user to the elevator going to that floor. There is no need to enter the floor number manually.